Oxiracetam was the 3rd racetam nootropic and developed in the 1970’s. It is chemically derived from Piracetam (2-oxo-1-pyrrolidinoacetamide) where the main difference is the addition of a hydroxyl group. 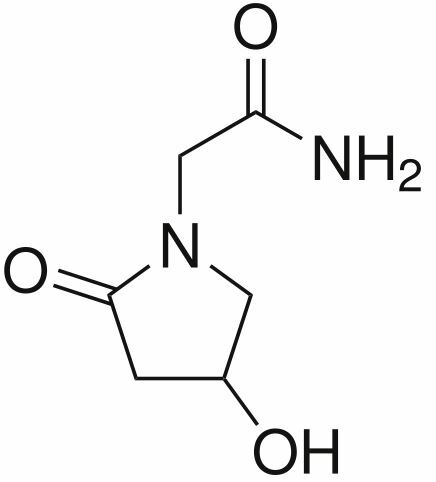 Oxiracetam, similar to other racetam nootropics, has a pyrrolidone nucleus at its core. A favorite racetam among the nootropics community. Neurohackers use Oxiracetam to boost memory and learning, support brain health and for its mild stimulant properties. 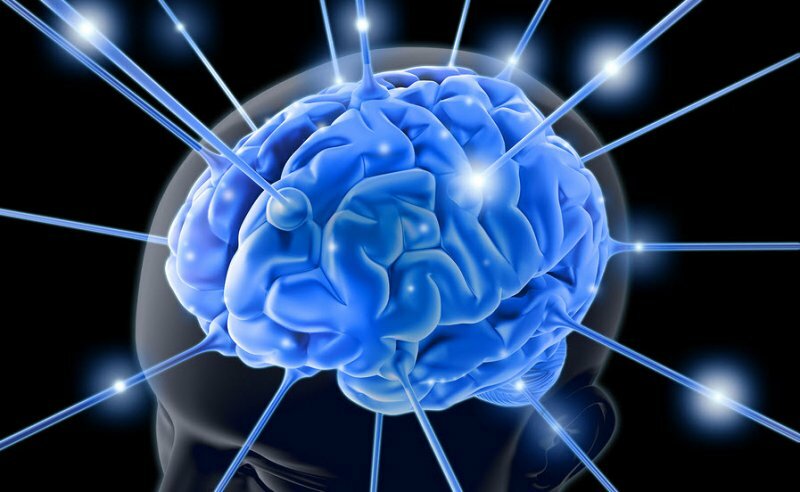 Brain Optimization: Oxiracetam significantly improves cognition and memory, sensory perception and reflexes. Focus and concentration get a boost. And recall is easier. Neurotransmitters: Oxiracetam enhances choline-acetyltransferase (ChAT) in your brain. [iii] ChAT is the enzyme responsible for acetylcholine (ACh). ACh is the neurotransmitter critical for encoding new memories, reasoning, concentration, cognition and neuroplasticity. Oxiracetam vs. Piracetam: What’s the Difference? 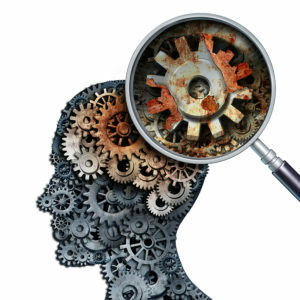 How does Oxiracetam Work in the Brain? 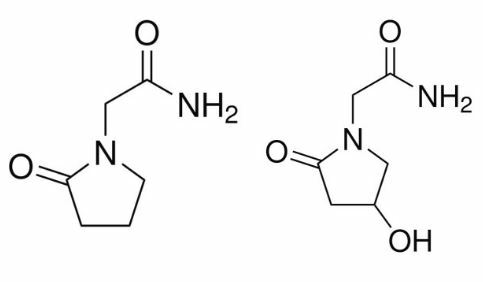 The racetam-class of nootropics have a pyrrolidone nucleus at their core. 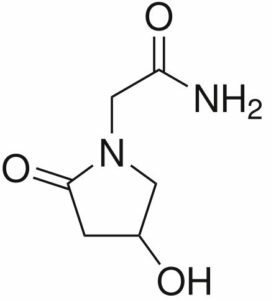 But Oxiracetam has the addition of a hydroxyl group. And Oxiracetam is a Cholinergic compound, meaning it affects acetylcholine levels in the brain. 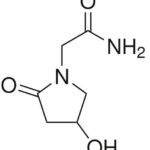 Oxiracetam is sold as an over-the-counter, unrestricted compound in much of the world including the United States. One of the older synthetic nootropic compounds, it is known as a cognitive enhancer. And for its stimulatory effects. Oxiracetam was developed in the 1977 as a derivative of Piracetam. Oxiracetam and Piracetam are both water-soluble. The half-life and nootropic benefits are similar. The potency of Oxiracetam seems to be about 5-times that of Piracetam. So it’ll take less to get the same nootropic effect. Both Oxiracetam and Piracetam are cognitive enhancers. And both have neuroprotective qualities. Both racetams are able to improve learning and memory. And both are able to repair brain damage. Oxiracetam has additional benefits not shared with Piracetam. Oxiracetam provides more of a stimulatory effect than Piracetam. Some even compare it to Modafinil. Many prefer Oxiracetam over Piracetam. But if you’re a first-time user of Oxiracetam, start with a lower dose and see how you react to it. And make sure you stack it with a good choline source to avoid the racetam-headache and irritability sometimes associated with racetams. Oxiracetam boosts brain health and function in several ways. But two in particular stand out. The result of these actions is a stimulant-effect without any of the negative side effects associated with stimulants. And there is clinical evidence that this stimulant action has an effect on memory and cognition. One double-blind, placebo controlled trial was done with 65 patients diagnosed with primary degenerative dementia. Patients were given 800 mg of Oxiracetam twice daily for 12 weeks, or a placebo. Subjects were tested before the trial, and after 6 and 12 weeks of treatment. Oxiracetam also seems to prevent an imbalance of acetylcholine activity when NMDA receptors are malfunctioning. [x] AMPA and NMDA receptors work together for the flow of glutamate necessary for learning and memory processes. Including Long-Term Potentiation that is associated with neuroplasticity that allows long-term memories to form. Oxiracetam boosts the availability of acetylcholine (ACh) in the brain. Leading to improved short-term and long-term memory. And eliminating ‘brain fog’. Oxiracetam does this by boosting the sensitivity of ACh receptors. Oxiracetam enhances protein kinase C (PKC) which affects M1 acetylcholine receptors. Oxiracetam even demonstrates the ability to repair these receptors when damaged. [xi] More ACh results in better memory and learning. Glutamate is a pivotal neurotransmitter in the brain. It links the brain circuits involved in memory, learning and perception. So Oxiracetam can help for age-related cognitive decline, as well as a student looking to do better in school. By boosting acetylcholine and controlling glutamate in the brain. Clinical studies have looked at using Oxiracetam to treat Alzheimer’s, ADHD, dementia, concussions and other brain disorders. Many of these trials demonstrated Oxiracetam’s ability to improve learning, spatial learning performance, memory, recall and quality of life scores. Oxiracetam works similar to other racetams by targeting the neurotransmitters acetylcholine (ACh) and glutamate. ACh has a significant impact on memory formation and recall. And glutamate plays a role in memory formation, motivation and attention. Oxiracetam encourages the use of acetylcholine in your brain. So when using Oxiracetam you must ensure you have adequate choline levels available to make acetylcholine. Most neurohackers stack Oxiracetam with a choline supplement like Alpha GPC or CDP-Choline. Oxiracetam is used to boost short and long-term memory, eliminate brain fog, improve attention and focus, and the ability to learn. Nootropics users report that Oxiracetam clears brain fog, improves focus and motivation. Especially when learning new material or working through a tedious task. You could see a significant improvement in recall. Reading is easier giving you the ability to get through more pages faster and retain the information for later. And some report an improvement in mood which could be the result of more acetylcholine available for use in the brain. Oxiracetam does have a stimulant-effect so try not to take it too late in the day as it may interfere with a good night’s sleep. You should be able to experience the effects of Oxiracetam soon after you take it. It’s water-soluble so it’s digested and enters your cells quickly. And unlike other stimulants, there is no “crash” once Oxiracetam leaves your system. Researchers worked with 96 patients diagnosed with dementia for 12 months. Patients were treated with 1600 mg per day of Oxiracetam or a placebo. And were assessed at 2, 6 and 12 months of the trial. Traumatic brain injury (TBI) is a major public health issue affecting 1.7 million Americans each year. [xiii] TBI can be caused by sports injuries, work accidents, car and motorcycle accidents, falls, and your wife hitting you over the head with a frying pan. In one study done with 30 Wistar rats, researchers looked at the role Oxiracetam could have on TBI. The animals were randomly divided into 3 groups. Rats in the treatment group were given 100 mg/kg of Oxiracetam for 21 days. Neurologic impairment scores were measured on days 1, 4, 7, 14 and 21. Researchers worked with 43 patients to evaluate the effects of Oxiracetam on ‘organic brain syndrome’ (OBS). OBS is brain dysfunction that is not attributable to a specific disease like Alzheimer’s or dementia. 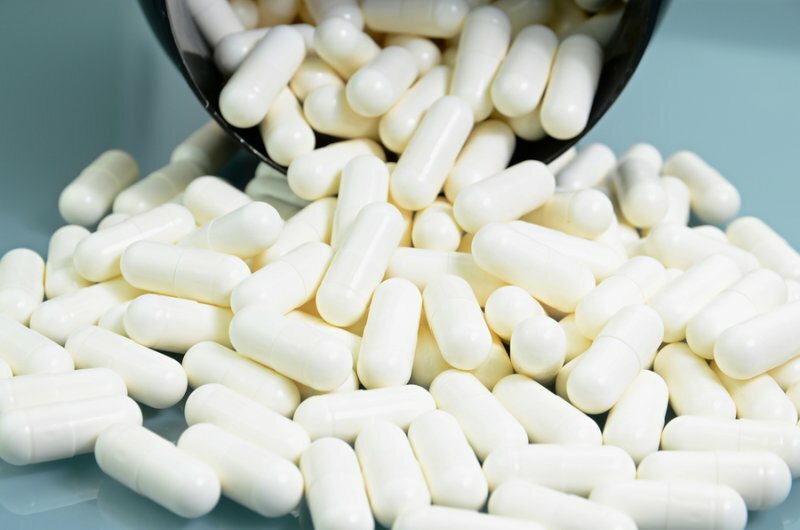 This double-blind, placebo-controlled study had one group of patients taking 800 mg of Oxiracetam twice a day for 8 weeks, and the other group took a placebo. Recommended Oxiracetam dosage is 750 – 1,500 mg per day. Divided in two equal doses. One Oxiracetam dose in the morning, and one in the early afternoon. Oxiracetam is sold in tablet, capsule and powder form. Tablets and capsules are usually 750 mg each. Since Oxiracetam boosts the efficiency of acetylcholine in your brain, you should stack it with a good choline source like Alpha GPC or CDP Choline. Oxiracetam non-toxic. So is considered well-tolerated and safe. Headaches from using Oxiracetam typically happen when you forget to combine it with a good choline supplement. Headaches are often a symptom of a choline deficit in your brain. We recommend using Oxiracetam as a nootropic supplement. Your body does not make Oxiracetam on its own. So to get its benefits you must take it as a supplement. Oxiracetam is especially helpful for those suffering from lack of energy, brain fog and the inability to focus. Oxiracetam influences AMPA and NMDA receptors in your brain. Improving the efficiency of the neurotransmitter glutamate. This excitatory brain chemical is responsible for sending signals between neuron in the brain. And plays a critical role in learning and forming memories. Oxiracetam is also particularly useful to students and executives who want to boost cognition, learning and memory. It boosts the efficiency of the neurotransmitter acetylcholine (ACh) in your brain. ACh is critical for encoding new memories, reasoning, concentration, cognition and growth of new synapses (neuroplasticity). Oxiracetam also helps improve verbal fluidity and sociability. Words seem to come easily, and vocabulary you didn’t know you had access to come into play. You should stack Oxiracetam with a good choline supplement like Alpha GPC or CDP-Choline. It helps boost neural acetylcholine, so demands the presence of more choline in your brain. You can safely boost daily intake of Oxiracetam to 2,800 mg if needed. Just finished my first bottle very well worth it . Thanks for the video that inspired me to try it . I was searching around and really wondering why you don’t have a video on Adrafinil I haven’t tried it yet but I read it supposed to be very similar to modafinil . An idea for a future video . Thanks for your work. Justin, my self-imposed ‘policy’ on reviewing nootropics is to keep the supplements I write about as ‘natural’ as possible. Supplements that can be purchased in most places worldwide without a prescription. And the racetams are as far as I’m willing to take this for now. Adrafinil is too closely related to a controlled substance in many countries. And the reason I haven’t and likely will not review it. First of all let me start by saying I absolutely love your videos. To say that they have been beneficial to my person is an understatement. I have. A question that would be of great assistance to me. I purchased Oxiracetam, but I didn’t experience any effects. I was a bit taken back as I respond well to Piracetam. I usually take 3,500 to 4,000 mg of Piracetam to feel the congnitive effects together with choline source (usually Alpha GPC). I tried several dosages of Oxiracetam and was unable to feel the effects. I tried 750 mg, a couple days later I increased it to 1,500 mg and that too didn’t work. I have increased it to 2,000 and 2,500 mg and nothing. Each time I have taken Oxiracetam I have also taken Alpha GPC. Do. You think I should increase the dosage further or is this just one of those medicines that I won’t be able to respond to. I’m fairly healthy person. I do not illegal drugs and very rarely would I have a drink (once every 6 months). I’m not sure if this would help to shed some light, but in the past Huperzine A has also not worked for me. I have tried many dosages with huperzine a in the past upto 700 mcg without feeling anything whatsoever. However, Piracetam and Primaracetam work every time, as does L-Theanine. Any advice/suggestion is greatly appreciated. Manny, don’t try and force a reaction. The reality is that you are just not meant to be using certain nootropics if you find you get no response. 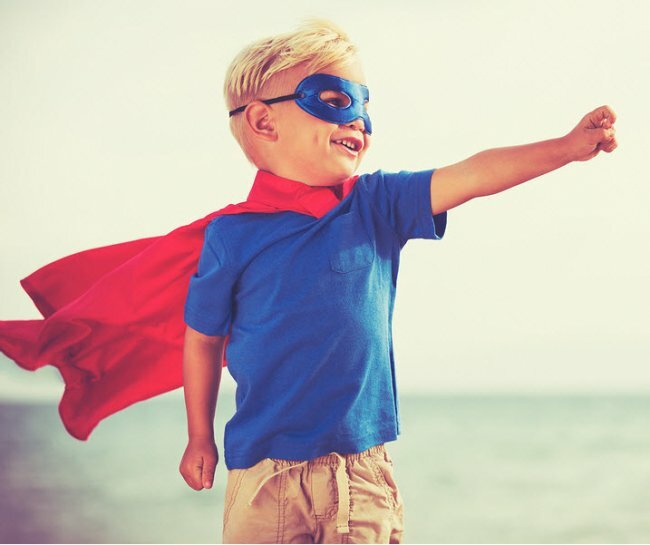 Every one of us is wired differently and what works for one person may have zero effect or a negative effect to the person standing next to them.